This year's WESTDOC conference—which took place in mid-September at The Landmark Theaters in West Los Angeles—saw the best of both worlds for documentary filmmakers. 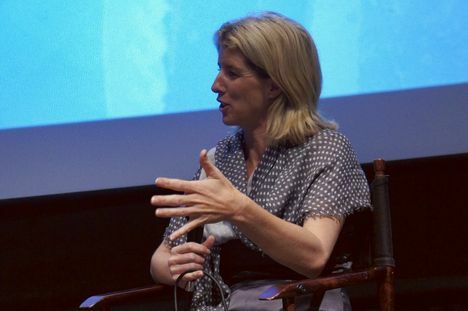 Hosting conversations with prolific filmmakers such as Ondi Timoner and Rory Kennedy on one hand, while presenting panels with funding and digital distribution experts on the other, WESTDOC struck a perfect balance between the creative and business sides of documentary filmmaking. The conference covered all the steps between these two sides—starting with fundraising, an essential component of the filmmaking process. The first topic of the day was crowdfunding. Adam Chapnick, principal at the mega-successful crowdfunding site Indiegogo, explained how Indiegogo first started out as a platform to support and fund only film projects, because independent filmmakers were getting conned by distributors. "Documentary filmmakers were one of the first to get into crowdfunding," Chapnick maintained. In fact, he founded Distribber (purchased by Indiegogo in 2010), which was a flat-fee distribution service that placed independent films on VOD platforms while empowering filmmakers to keep 100 percent of their revenue. The "Crowdfunding Comes of Age" panel. 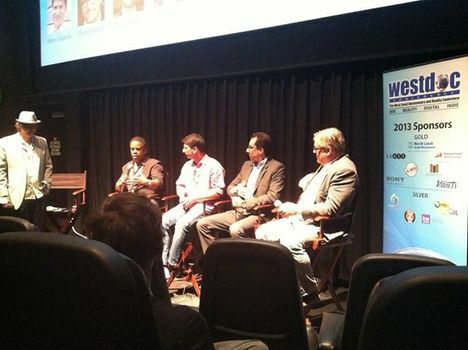 Left to right: Danny Kastner, Crwodjammer; filmmaker Tony Zawinal; Adam Chapnick, Indiegogo; entertainment attorney David Sharifi; Edwin Stepp, Django Productions. The idea of crowdfunding is not new. Danny Kasiner, chief officer at Crowdjammer, explained how crowdfunding has always been around, but now with the Internet and crowdfunding websites, it's become easier than ever to reach your target audience to gain funds. He explained the importance of finding your audience first before getting ready to launch: "Even if your documentary has a very niche audience, doing a little research and connecting with your audience on Facebook and Twitter could make all the difference in your crowdfunding campaign." Kaisner should know: Crowdjammer works with any crowdfunding platform, and helps artists and companies use social media to build fans who pledge campaign support during a pre-launch phase. This takes the guesswork out of crowdfunding, leading to a higher success rate. With crowdfunding being such a major source of funding for filmmakers now, the next step after funding and making an independent documentary would be distributing it. So what steps can one take to seek distribution, and how has theatrical distribution changed in the past few years? It seems that everything is going digital. As opposed to the days when documentary filmmakers simply had to have a distributor to be able to release their film in theaters, theatrical distribution can now be achieved through online sources. Dan Parnes, content partnerships and communications director at Tugg, a site that gets films into markets based on audience demand, explains how this works: "If enough people in an area request a screening of a film on Tugg.com, a screening can be set up. We deal with exhibitors and take care of all the logistics. People then buy tickets to the screening online." With enough demand on Tugg, screenings can be set up in multiple cities over a period of time, thus getting independent films into theaters without a formal distributor. (2008) and Arsenic: The Largest Mass Poisoning in History (2005). Transitioning to the business side, Jackson stressed the importance of exclusivity. "When signing on with an online distributor, giving away exclusive streaming rights to your project is not recommended," he advised. KinoNation distributes films under its banner to Hulu, Netflix and other paid streaming platforms. With new distribution opportunities opening up, companies like Tugg and KinoNation make sure that independent documentarians with good content don't get left behind. Straddling the artistic side and the business side, a keynote speech by two-time Sundance Film Festival Grand Jury Prize winner Ondi Timoner revealed not only the creative strategies behind her work, but also her expertise on digital distribution and crowdfunding. Timoner's recent Kickstarter campaign achieved 150 percent of her fundraising goal, making A TOTAL DISRUPTION the top documentary series event funded on that platform. Other perspectives on both the filmmaking process and the business side of documentaries were offered by Academy Award-nominated filmmaker Lucy Walker; Lesley Chilcott, producer of the 2006 Academy Award-winning documentary An Inconvenient Truth; Melanie Miller, vice president of acquisitions and marketing at Gravitas Ventures; and Peter Goldwyn, senior vice president at Samuel Goldwyn Films. This panel covered all the bases for documentary filmmakers, from distribution to the creative process. Goldwyn gave some good advice on clearances and paperwork. "You need a good lawyer," he said. "Don't use expensive music; get your clearances. If you have a good lawyer who knows about documentaries, they can do the legal and sell your documentary, and there are some really good sales agents out there as well." Walker talked about new and interesting things that went into the filmmaking process for her new film The Crash Reel. "We have this shocking situation where kids are dying in action sports and nobody knows about it," she said. "We had to get grants to cover a lot of factors. It's not a money-making thing, but as far as the rewarding factor and the impact of the film, it's absolutely amazing." 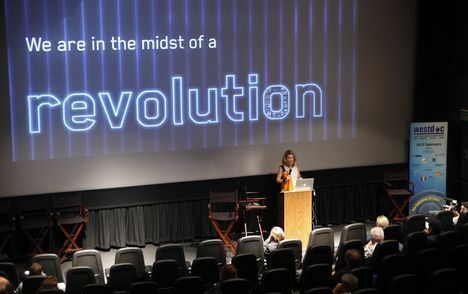 Transitioning to the creative side of documentaries, a conversation with Emmy Award-winning filmmaker Rory Kennedy gave attendees the opportunity to learn the art of documentary filmmaking from one of the best in the business. But even successful documentarians had to start somewhere. "It was a learning curve, and I had no idea what I was doing," Kennedy admitted. Kennedy has directed and produced more than 25 documentaries, but the beginning of her career wasn't easy. Kennedy talked about how she turned her passion on a subject into a proposal for a film, and then researched production companies who would want to partner with her. Gathering funds for her project was not easy either. "The fundraising process was difficult and took a long time," she said. But through her compelling storytelling skills and a strong will to emotionally connect with her subjects and their journeys, Kennedy was able to rise to the challenge. 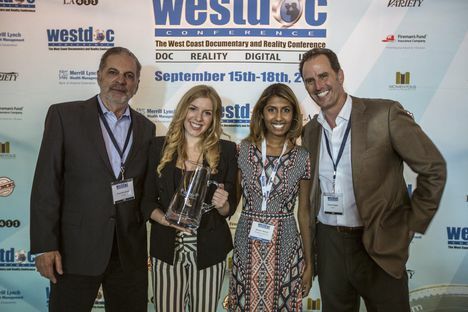 WESTDOC concluded with PitchFest, a competition where one lucky project wins $7,500 for finishing funds. This year's winners, Kaitlyn Regehr and Nimisha Mukerji, won for their film Tempest Storm: Burlesque Queen. "We feel so grateful to have won this," said producer Regehr. "Especially because all the other projects were so amazing. We made incredible friends throughout this process and we felt privileged to be in such good company." Mukerji, director of the winning project, added, "We had a great time at the conference and it was an amazing event to be a part of. We can't wait to go back next year!". Minoti Vaishnav is Programs and Events Coordinator at IDA.